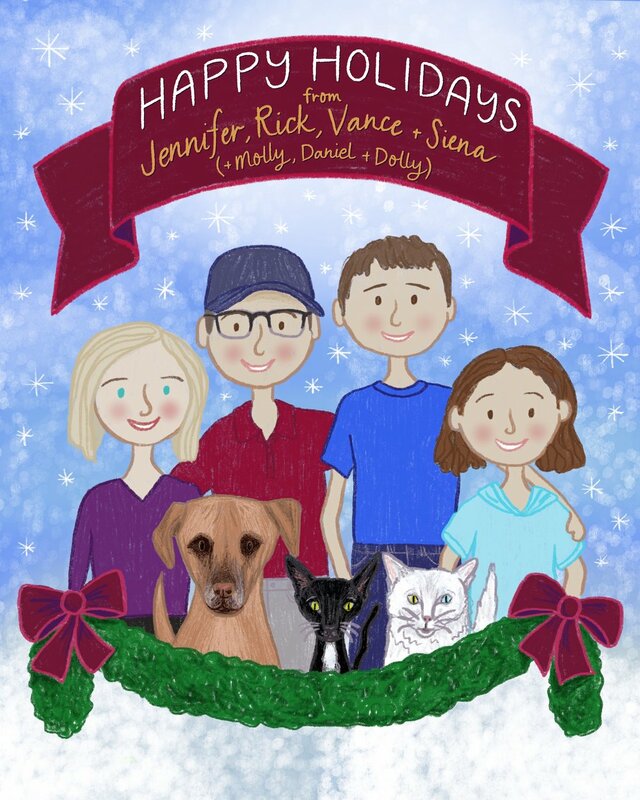 The Brief: To create a family portrait in a fun illustrated style for a family’s holiday card including the parents, two kids, and three pets. This project was to create a holiday family portrait as a commission. From the source materials, I created a digital sketch in Procreate on the iPad Pro, then added color and backgrounds. The final image was printed on matte heavyweight paper and provided to the client. Source images of the family used to create the portrait. Initial digital sketch for the portrait.